I'd like an old cop car any day. Mid 60's early 70's with the exception of an 80's Caprice Classic. Back then the factory's was making sure they was the hottest thing on the road. The Highway cop cars had the special big motors in them and branded them Interceptors. In the 50's I think if you opened the hood, you would see the word Interceptor painted on the firewall, and you knew you had the fastest car on the road. Not to many people knew but all the muscle cars back then, the factories made sure the cop cars was better. For example, if you had a 70 Chevelle SS with a 396, that cop car chasing you down on the highway was an Impala with a 454 HO Interceptor catching up to you, LOL. I'd love to have one of those cop cars the Blues Brothers drove in the movie, LOL. ^^Any particular reason for 79? I dunno, I like the look of the '79 Lil' Red Express trucks. And oh yeah, '46 Dodge Power Wagon!! Thanks for the reminder Beal hahaha!! 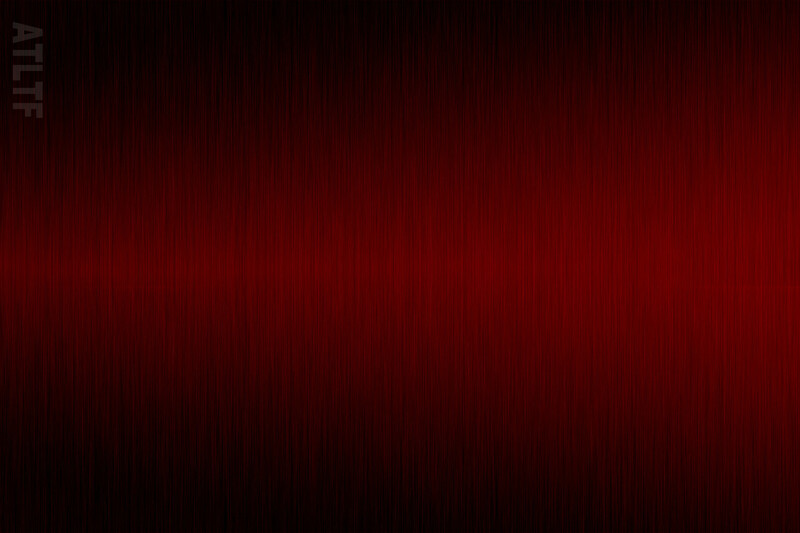 What about the 78 Lil Red Express trucks? I prefer the earlier body. Id like a short stepside bed 4x4 d100 with a /6. There was an article in a Vintage Truck magazine about the Lil Red Express. "The last muscle car was a truck". Brand new in 78 they could beat a corvette on the drag strip. Article said there was some other cars it beat too, but I dont remember. I wouldnt complain if I had one... ha. The "Warlock" truck would be darn cool too. Yeah I wouldn't either, haha. Warlock truck? I've never heard of those. Just special paint, wheels and a few other options I believe. Years 75-79ish. Oh ok, sounds alright. Either way '66 Fairlane 427 is still my favorite, hahaha! HOW DID I MISS THIS TOPIC! *thread revival* I figured I'd find you here mighty hahaha! By '55 Chevy I assume you mean Bel Air? Those are nice! A guy in my area that passed away a few years back had a '55 Bel Air all done up with slicks on the back, roll cage and a 509 big block with a blower on it! You could always here him coming in to town! He also had a '68 (I think) COPO Camara. Nice! My friend has a '73 Mach 1, after my high school graduation he took me for a spin in it. It has the 351 Cleveland. And it sure peeled out of of the school parking lot! Hahaha! Finally re-found the image I originally saw on the internet that gave me my idea for my Sasquatch build. It was the inspiration. That 'ol Chevy looks awesme! I really like the mags on the front, with the black spokes behind the chrome ones. I bet that doesn't have a 283 in it anymore hahaha! If you made two fake four-barrels and an intake scoop for your build it would look pretty sweet. 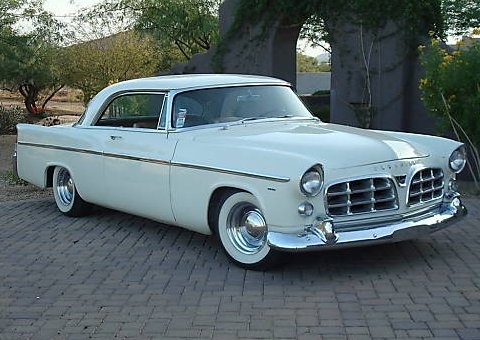 '56 Chrysler 300B. They had 331c.i. Hemis in them until '56 when they upped the displacement to 354c.i. That's why I like the '56s hahaha! Very Stylish! LOL Nice car. I love old cars. Yeah, they're a beautiful machine. Not too common though unfortunately hahaha. Yeah I do too! Too bad some of my favorite ones are kinda rare. 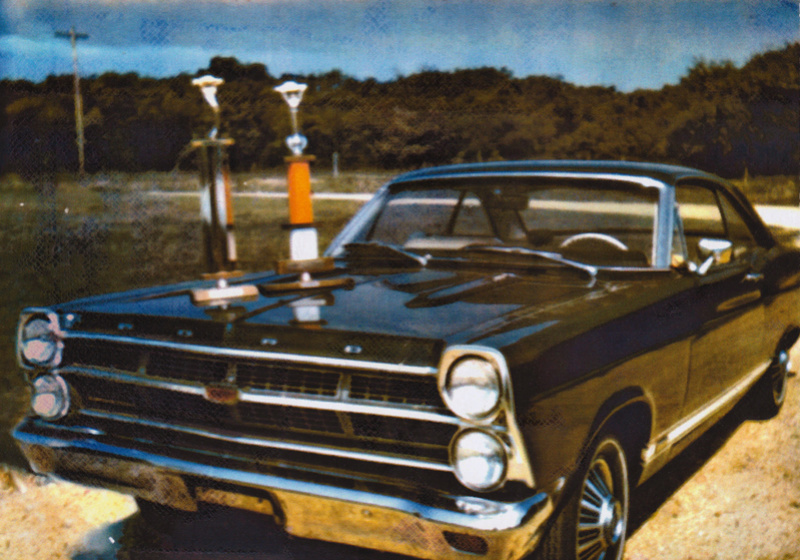 My favorite car is a '66 Ford Fairlane with a 427 side-oiler. Super lightweight and just about 1 horse power per cubic inch at 425 horses from the factory. They made a small run of street 427 side oilers so they would be legal in the NHRA. I think they only made like 57 of them or something like that. I also love the '59 Impala's, very nicely styled. Not super rare but they only made them with that style for one year. 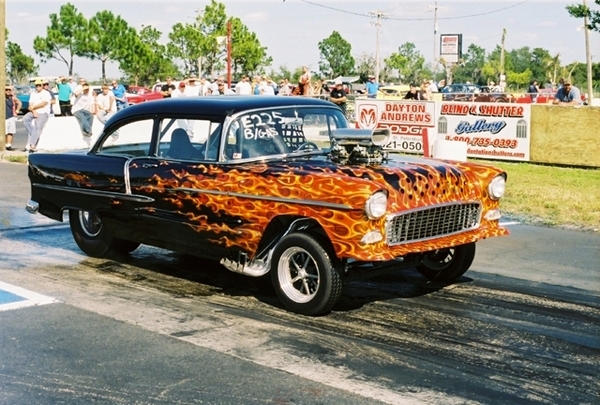 The Tri-five Chevy Bel-Airs were nice, but I'd rather have a '62 Bel-Air with a giddy up giddy up giddy up 409 big block! Hahaha, I love old cars!! My dad use to drag race a 66?67? Fairlane GTA? back in the 70's. Nice! Probably had a 390 in it. Yeah, I confirmed it 67 with a 390. Yeah, I love those Fairlanes. The '66 and '67s where pretty much the same for styling, but the tail lights on the '66s where different and I like them better. The one my dad raced.